At SearchStorage.com, it’s all in the name. Well, that’s not entirely true, but our name does aptly describe our goal: to provide you with relevant, independent advice, tips, and news that help you address your specific storage needs. 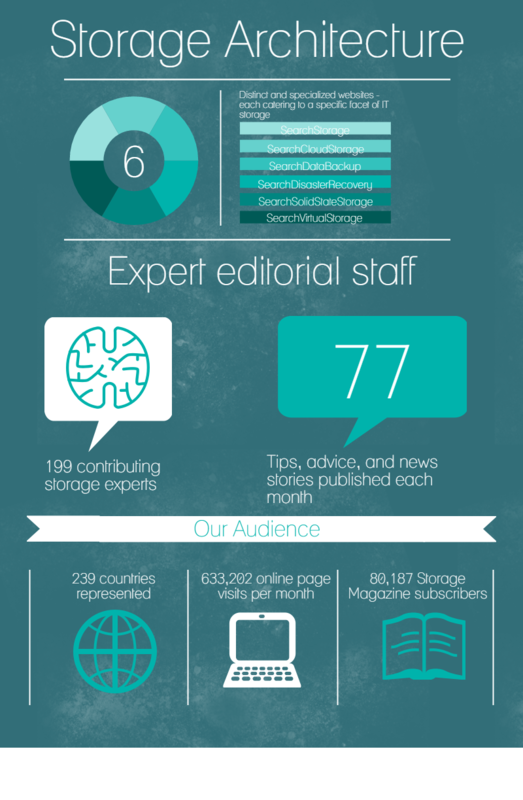 In 1999, we launched SearchStorage.com to create a space in which storage experts could share objective content to help IT pros, like yourself, solve any and all of today’s storage challenges. It's clear that storage challenges are only becoming more complex. So, whether you have a specific question around implementing parallel I/O technology or you’re purchasing a new NAS system, you’ll find detailed articles on SearchStorage.com to master all your latest storage projects. Welcome!